27 Quotes for People Claiming to Know it All! We all happen to meet some people in life who claim to be a know-it-all. They not only keep giving their unwanted opinions and comments to others but also reject what others have to say. In short, a know-it-all person can prove to be the most annoying for the people around him. It’s more about arrogance than knowledge. Have you ever got a chance to deal with any such person? Whether your answer is yes or no, you are surely gonna like these know it all quotes. 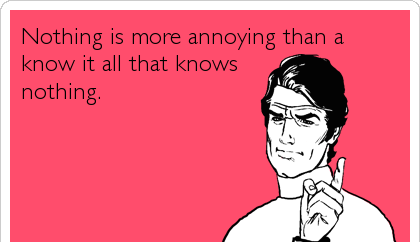 A woman know-it-all and also loves nagging is the worst form of this category. Those claiming to know it all, are the dumbest of all. 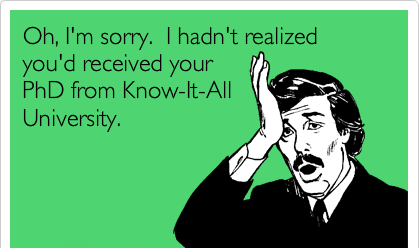 A PhD from know-it-all university, must be special. 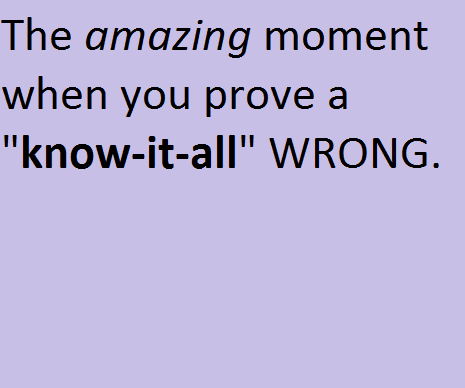 It feels great to prove a know-it-all wrong. Know it all is nothing but an illusion of knowledge. True! 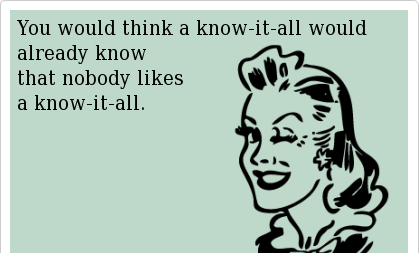 Nobody likes a know-it-all. Those who cease to think would never know it all. He would never know his annoyance. Even if they find it out, they would never acknowledge it. They don't know when to shut up. I don't know why would some act dumb. Do you have any idea? 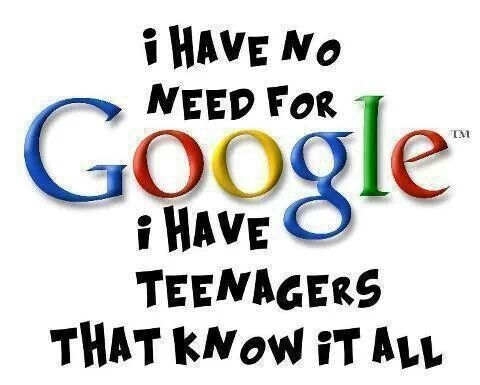 To shut up is hardly possible for a know-it-all. There is no use of an argument with him who knows it all. Yup! they really do not listen to anyone. Knowing it all is a form of arrogance. Think again and read these know it all quotes if you really think, you know it all. You are missing maturity and wisdom. A know it all that knows nothing is the worst thing that can happen to you. Finally this guy says something right!